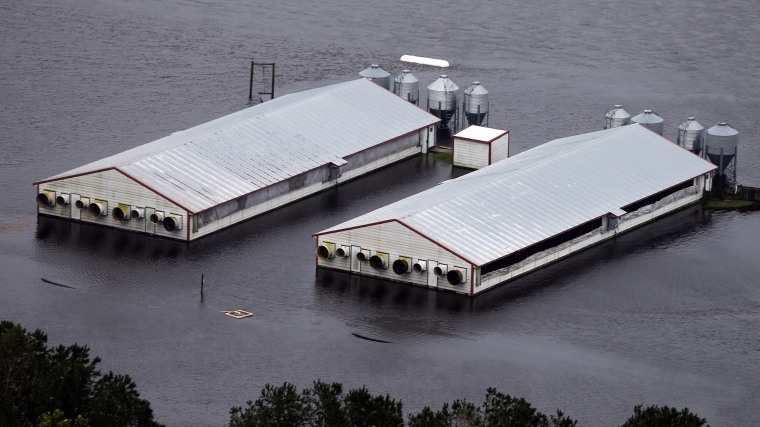 Lack of food could cause additional chickens to die if access isn't restored quickly, one farm said. Even though the sun shown in parts of the state Tuesday, major flooding is continuing after Florence's passage and is expected to worsen in some areas. Sixteen North Carolina rivers were at major flood stage Tuesday with an additional three forecast to peak by Thursday.